The Best Philosophy blogs from thousands of top Philosophy blogs in our index using search and social metrics. Data will be refreshed once a week. Also check out Philosophy Podcasts & Top Philosophy Youtube Channels list for Top videos on Philosophy. 2.22 Brain Pickings – An inventory of the meaningful life. 2.59 Values of the Wise | Wisdom, Knowledge, Values by Author Jason M.
Philosophy newsletter is a comprehensive summary of the day's most important blog posts and news articles from the best Philosophy websites on the web, and delivered to your email inbox each morning. To subscribe, simply provide us with your email address. UNITED KINGDOM About Blog This is the blog of tpm – The Philosophers’ Magazine. tpm was launched by Julian Baggini and Jeremy Stangroom in 1997 to publish quality philosophy in a readable and enjoyable format for readers both within and outside academe. Fifteen years later, it is thriving, and has featured within its pages some of the world’s great philosophers. Facebook fans n/a. Twitter followers 14,251. Five different continents About Blog Feminist Philosophers, goals is to help feminist philosophers keep up with philosophically relevant facts and, needs to be informed by real-world information and examples. Facebook fans n/a. Twitter followers 10,116. San Francisco, CA About Blog A subreddit for discussions on all things philosophy. Facebook fans 1,017,792. Twitter followers 439,099. North America About Blog American Philosophical Association, the premier philosophical learned society in North America.A creator and editor of Ordinary Philosophy blog, podcast, and history of ideas travel series. Facebook fans 934. Twitter followers 6,801. Los Angeles About Blog Edward Feser is one of the best contemporary writers on philosophy. He is also the author of many academic articles. He also writes on politics, from a conservative point of view; and on religion, from a traditional Roman Catholic perspective. Facebook fans 1,422. Twitter followers 42. Facebook fans 81,199. Twitter followers 358.
mumbai About Blog A Blog about Religious Hindu Philosophy of Bhagwat Gita or Bhagwad Gita or Gita: Teachings of 'Lord Krishna' given to 'Arjuna' on the battlefield of Kurukshetra during Mahabharata in Haryana State of India, more than 5000 years before. How these philosophies / teachings are still relevant in modern day to day life of today, shall be there in this blog. So Enjoy Divine words of God explained in this Blog. Facebook fans 12,169. Twitter followers 2,394.
florida About Blog The Brains blog is a leading forum for work in the philosophy and science of mind. It was founded in 2005 by Gualtiero Piccinini, and has been administered by John Schwenkler since late 2011.This blog is all about New ideas in philosophy, psychology, neuroscience from a leading forum for philosophy & science of mind. Facebook fans 1,305. Twitter followers 1,476. Baton Rouge LA About Blog A blog for conservative philosophers. We are philosophers who think being perennially orthodox is worth being presently heterodox; i.e., politically, we are generally right, and therefore think leftists are generally wrong, if not insane. Facebook fans 21. Twitter followers 10. Newyork About Blog Here you will find links to the professional and public writings of Professor Massimo Pigli, a philosopher at the City College of New York.Topics range from general philosophy to philosophy of science to the modern practice of the ancient philosophy of Stoicism, because all (Western) philosophy consists of a series of footnotes to Plato. Facebook fans 7,913. Twitter followers 14,843. Madison, WI About Blog The Partially Examined Life is a philosophy podcast and philosophy blog by some guys who were at one point set on doing philosophy for a living but then thought better of it. Facebook fans 9,536. Twitter followers 11,249. Ireland About Blog The purpose of this blog is to share, explain and comment on various philosophical articles and books that I read. Run by John Danaher. Facebook fans 906. Twitter followers 2,915. Middletown, CT About Blog Warp, Weft, and Way is a group blog of Chinese and Comparative philosophy. Its primary purpose is to promote and stimulate discussion of Chinese philosophy and cross-tradition inquiry among scholars and students of philosophy. Facebook fans 573. Twitter followers 55. United Kingdom About Blog Small thoughts about big things; big thoughts about small things; expansive ideas in few words; seeds of thought, scatttered to either take root or not. New York, NY About Blog Recent posts about Philosophy at Psychology Today. From the inner workings of your brain to the outer reaches of human behavior. Insight about everybody's favorite subject: Ourselves. Facebook fans 7,214,119. Twitter followers 463,325. London About Blog Get all the recent updates & news of the philosophy blog. Facebook fans 6,503,829. Twitter followers 5,966,917. Global About Blog This blogs Explore the world’s faith through different perspectives on religion and spirituality! Facebook fans 75,792. Twitter followers 14,302. London About Blog Multi-disciplinary blog covering European governance, economics, politics, culture and society.The London School of Economics and Political Science (LSE) is one of the foremost social science universities in the world, Maximizing the impact of academic research of social science. Facebook fans 333,515. Twitter followers 22,375. Madison, WI About Blog The Partially Examined Life is a philosophy podcast by some guys who were at one point set on doing philosophy for a living but then thought better of it. Each episode, we pick a text and chat about it with some balance between insight and flippancy. You don't have to know any philosophy, or even to have read the text we're talking about to (mostly) follow and (hopefully) enjoy the discussion. Facebook fans 14,621. Twitter followers 19,302. London About Blog Aeon is a magazine of philosophical ideas and culture. We publish in-depth essays, incisive articles, and a mix of original and curated videos free to all. Facebook fans 230,165. Twitter followers 109,522. 22. Brain Pickings – An inventory of the meaningful life. America About Blog The blog of Arts & Letters daily describes about the different topics on Philosophy, literature, ideas, criticism, history, art, music from The Chronicle of Higher Education. Facebook fans 31,687. Twitter followers 70,357. About Blog Daily Nous is a site for news about the philosophy profession and other issues of interest to philosophers. It is maintained by Justin Weinberg.The purpose of Daily Nous is to provide a centralized, highly visible, and up-to-date resource for those seeking information about the benefits of studying philosophy and those seeking to disseminate such information. Facebook fans 10,385. Twitter followers 5,466. Oxford, UK About Blog At the Practical Ethics blog, you can find daily ethical analysis of news events from researchers in four centres based at the Philosophy.We focus on current events with practical ethical relevance, including developments in science and technology, environmental policy, public health, and information ethics. Facebook fans 670. Twitter followers 10,018. Chicago, IL About Blog An African Literary Blog by Brittle Paper is a literary project designed to adapt African literary culture to this new reality. It is a Fresh and provocative take on African writing and literary culture. Facebook fans 6,515. Twitter followers 13,291. North America About Blog Bleeding Heart Libertarians is a blog of academic philosophers, legal theorists, and political theorists, interested in free markets and social justice. Facebook fans 8,989. Twitter followers 3,340. 201 Healy Hall, Georgetown About Blog The institute’s founders were innovators and pioneers, helping to invent the field of bioethics from the ground up. Today, our team of renowned ethicists, philosophers, and educational technologists helps students and partners from the global community find the best way forward through a complicated and often contentious environment of real world bioethics choices. Facebook fans 2,008. Twitter followers 347. University of Calgary About Blog A group blog discussing philosophical ideas as well as the profession of philosophy. Cambridge About Blog Blogs by Peter Smith describing insights of how to teach yourself Logic, enthusiasms, sceptical thoughts, and a little LaTeX geekery. its all about the philosophy of mind & many more logics. Seattle, WA About Blog John G. Messerly is the author of books on ethics, evolutionary philosophy, philosophy of human nature and the meaning of life, as well as over a hundred articles on philosophical, psychological, social, political, and transhumanist themes.He post blogs related to philosophy, evolution, death, transhumanism. Sweden About Blog A blog by the Centre for Research Ethics & Bioethics (CRB) .Research Ethics is aimed at all readers and authors interested in ethical issues in research, the regulation of research and the procedures and process of ethical review. Facebook fans 1,273. Twitter followers 233. Singapore About Blog Posts on Philosophy from the Unreal blog run by Manoj Thulasidas. Follow this blog to get insights on Life, Work and Money. Perception, Physics and Philosophy. San Francisco, CA About Blog Blogs by Noah Smith Modern economist thinks history has entirely been banished by the humanities, and the philosophical tradition of pragmatism. Facebook fans n/a. Twitter followers 43,644. Lebanon, Ohio About Blog Post on Confronting New Atheist, Irrationality, Thinking Christian Blog By Tom Gilson introduces about the most equipping Christians to be strong in their faith, knowledge, thinking, and strategies so that we can be more effective in reaching others everywhere with the life and love of Christ. Facebook fans 1,664. Twitter followers 3,059. Melbourne, Australia About Blog John S. Wilkins blog is designed evolved to host any random thoughts that happen to be passing through my forebrain at a given moment & Struggling with impermanence and vagueness in a complex world. Facebook fans n/a. Twitter followers 1,952. London, UK About Blog If the conscious self is an illusion - who is it that's being fooled? These pages are devoted to short discussions of some of the major thinkers and theories about consciousness and the philosophy of Mind. Facebook fans 6,147. Twitter followers 4,456. About Blog The blog of the Journal of the History of Ideas, committed to diverse and wide-ranging intellectual history.The JHI defines intellectual history expansively and ecumenically, including the histories of philosophy, literature and the arts, the natural and social sciences, religion, and political thought. Facebook fans 3,795. Twitter followers 2,559. London About Blog Jewish Quarterly blog is on a leading literary, cultural and political journal, a crucial voice in Jewish life but with a reach that extends far beyond it.The Jewish Quarterly, home is of hard thinking and fine writing since 1953.it was to cultivate literary journalism in the best tradition of Central and Eastern Europe and, in particular, in the best tradition of Eastern European. Facebook fans 1,850. Twitter followers 2,773.
macro HF About Blog Eric Lonergan’s elegantly-written and thought-provoking polemic on the nature of money is a must-read for anyone interested in politics or economics. Facebook fans 4. Twitter followers 2,243. Utopia About Blog Blog by Eric Schliesser a philosopher writes about life, books, art, sports, philosophy, science, and economics. Facebook fans n/a. Twitter followers 325. London, United Kingdom About Blog Mark Vernon- Recent writing, future events, occasional thoughts of psychotherapist, writer and teacher. He’s written books on friendship, love, wellbeing, belief, spirituality, science and ancient Greek philosophy. His articles and reviews on religious, philosophical and ethical themes have appeared in many newspapers and magazines. Facebook fans n/a. Twitter followers 1,169. San Luis Obispo CA About Blog This blog is an exploration and commentary on the causes and effects of ethical failings in business, politics, and society on our way of life.Sharing my wisdom on accounting and business ethics, workplace and societal ethics. Facebook fans n/a. Twitter followers 399. England About Blog Blog is devoted to evolution, atheism, civil rights, and whatever else tickles my fancy. It is geared towards defending the underlying theme of all of biology of science against the insult of creationism, ignorance, and misinformation. Facebook fans 2,825. Twitter followers 55,008. About Blog The Christian Humanist Podcast is a weekly podcast that discusses “literature, theology, philosophy, and other things that human beings do well.” It's hosted by three Christian college professors and seeks to explore all manner of human endeavor through a theological lens. About Blog Philosophy, Business, Everyday Life. Michigan About Blog UnderstandingSociety is a blog by philosopher Daniel Little offering innovative thinking about social agency and structure in a global world.his mission for the post is to stimulate new thinking about how society works. Facebook fans 3,853. Twitter followers 2,038. Toronto, ON About Blog The blog by Frame of mind will be Transforming Your World. It follows the principle of What You Focus On Grows....and we help you focus on what it is you REALLY want. The Frame of Mind team helps you change your thoughts and teaches you how to get out of your own way. Facebook fans 1,259. Twitter followers 1,914. About Blog Philosopher.io publishes formal and informal articles by a number of philosophers from around the world. We seek a style which delivers clarity and ease of communication to a broad audience across multiple social media platforms. USA About Blog A blog about God, the Catholic Church, Science, Philosophy, Religion, Atheism and other worldly things. Facebook fans 162. Twitter followers 4,024. Houston, TX About Blog Aesthetics for Birds is a blog that aims to bring people working in aesthetics and philosophy of art together with each other, as well as with artists, the artworld, and others in philosophy and the academy. About Blog Extinct is a resource for philosophers, palaeontologists, and enthusiasts. We provide posts and occasional news dedicated to the intersection of philosophy and palaeontology. Facebook fans 534. Twitter followers 224. 59. Values of the Wise | Wisdom, Knowledge, Values by Author Jason M.
Summerville, SC About Blog Jason Merchey is a philosophical thinker and independent scholar as well as founder of Values of the Wise. It has over 30,000 quotes about wisdom and values that represent ancient wisdom and progressive thinking brought to life. Facebook fans 1,483. Twitter followers 86. United States About Blog Nick researches human reasoning — particularly how we reason and how we can reason better.My primary areas are cognitive science, philosophy of mind, and philosophy of science. My research focuses on reasoning styles, reasoning education, wellbeing, and willpower. Facebook fans 167. Twitter followers 1,426. Sutton Coldfield Uk About Blog This blog help clients by dramatically changing the way they think investing and enable them to make smarter decision about their money. Parody Account About Blog This Philosophy is generated science by essentially inventing intellectual thought and rigorous.The approach and practice of science, including the "scientific method" arose out of philosophy. London About Blog Perfect Chaos is the music, theology, and philosophy blog of Steven Colborne. Here we discuss subjects such as free will, suffering, the nature of God, and the meaning of life. Facebook fans 41. Twitter followers 2,861. About Blog The Indian Philosophy Blog was founded in January 2014 by Elisa Freschi and Amod Lele.The Indian Philosophy Blog is a venue for the discussion of Indian (South Asian) philosophy, however defined. All periods of Indian thought from the ancient to the modern, and all Indian philosophical schools is discussed on the blog. UK About Blog This is the blog for The British Journal for the Philosophy of Science. We cover trends in (subfields of) philosophy of science, current news/science stories that link up with issues in the philosophy of science, informal philosophy of science conference reports, stories from the world of academic philosophy from a philosophy of science angle, and anything else that might take our fancy. Facebook fans 2,386. Twitter followers 2,223. Bronx, New York About Blog Ethical analysis and news from the Fordham University Center for Ethics Education,The Master of Arts in Ethics and Society provides students with a cross-disciplinary foundation in the application of moral and ethical theory to social issues. Facebook fans 345. Twitter followers 1,064. About Blog Find blog post on philosophy mindset thinking about thining. Cambridge, MA About Blog Love of All Wisdom is a biweekly blog in cross-cultural philosophy, written by Amod Lele. this blog is my attempt to do philosophy cross-culturally not just to compare philosophies from different traditions, but to build a philosophical system myself that draws, with intellectual integrity, from wisdom from around the world. Facebook fans 95. Twitter followers 214.
mumbai About Blog Vedanta - A Way Of Life| Indian Philosophy blog site that helps you to understand Vedanta and its simple application to everyday life! Cullercoats, UK About Blog Author and published philosopher. Writes about evolutionary philosophy and fictional worlds inspired by it.Contemplating the past to choose the destination. Facebook fans 120. Twitter followers 866. Australia About Blog A blog devoted to exploring and promoting the great diversity that exists in the study of language, in the past and today. Each blog post seeks to introduce a topic, idea or approach in language study historical, current or completely new with an invitation to all readers to engage in discussion in the comments. Facebook fans 140. Twitter followers 101. About Blog A magazine and forum for in-depth discussion of Philosophy and its intersection with various other fields. Facebook fans 576. Twitter followers 54. NE Ohio About Blog Jeff Nelson is ordained in the United Church of Christ and serves as a local church pastor. He is also a certified spiritual director.. I occasionally lead workshops and retreats on the topics of personal spirituality and clergy vitality. Facebook fans 200. Twitter followers 1,200. UK About Blog Rocking Philosophy promotes individualism and opposes all forms of group think. Principles are based on negative liberty, natural rights, rationalism, and empiricism. Facebook fans 2,968. Twitter followers 2,126. London About Blog This blog is about politics, philosophy and history and how to do them well, in terms of thinking, writing and teaching. Facebook fans n/a. Twitter followers 1,353. About Blog This blog showcase the best philosophical posts from a wide range of weblogs. its post is on reflections in philosophy of psychology, broadly construed. About Blog Interesting and insightful quotes from history’s greatest minds. Memphis, TN About Blog Blog by Leigh M. Johnson - readmorewritemorethinkmorebemore about philosophy, music, politics and pop culture get equal deconstruction. Facebook fans 551. Twitter followers 5,145. Atlanta, Georgia About Blog GonePublic is written by Noëlle McAfee. I am a professor of philosophy at Emory University and editor of the Kettering Review.I started this blog in spirit: irreverent, deeply democratic, committed to ideas, to public life, and to the possibility that all of us might make this world a better place. United states About Blog A philosophy of religion blog. Facebook fans n/a. Twitter followers 1,739. About Blog The Mod Squad is a group blog in the history of modern philosophy. Kentucky, USA About Blog Building communities of philosophical conversation,The mission of the Society of Philosophers in America (SOPHIA) is to use the tools of philosophical inquiry to improve people’s lives and enrich the profession of philosophy through conversation and community building. Facebook fans 167. Twitter followers 609. About Blog A simplified way of understanding philosophy to answer the most basic of life's questions. My name is Greg and I have been reading and studying philosophy most of my life. What I offer here is the results of extensive study, my analytic ability such as it is, clear writing style, and the diligence to complete the work at hand. In fact, I doubt many readers would prefer me to formulate philosophy in the professional manner with a series of rigorous arguments using strict rules of logic. Gothenburg, Sweden About Blog A blog by a philosophy professor from Sweden, with comments and reflections on a variety of subjects.Just as it says: the comments of a philosopher on the high and the low; world events, phenomena encountered and, occasionally, the esoteric happenings of academia. Facebook fans n/a. Twitter followers 3,907. About Blog The Dawdler's Philosophy is a Philosophy and Science long form discussion Podcast brought to you by a couple of Dawdlers. Hey, it's not nothing! Facebook fans 52. Twitter followers 22. Newcastle,Litandphil About Blog The Newcastle Philosophy Society practices free philosophical conversation, welcoming everyone with an interest in philosophy – especially novices – and all philosophical approaches. Facebook fans 278. Twitter followers 670. Yale University About Blog This blog is to provide you with an accessible overview of critical realism beginning with the key texts learning about critical realism and exploring how it is being applied in sociology, social sciences, and the humanities more broadly. New York About Blog The Ancient Philosophy Society was established to provide a forum for diverse scholarship on ancient Greek and Roman texts.It is the intention that, within the larger aim of assessing the meaning and significance of ancient texts,the Ancient Philosophy Society serve as the site of critical engagement and that it encourage creative and rigorous independent readings. Facebook fans 1,171. Twitter followers 80. Oakland About Blog Ordinary Philosophy is dedicated to philosophy in the public square and the history of ideas that change the world.We believe that philosophy is an eminently useful endeavor as well as a fascinating and beautiful one, and that citizen philosophers and academic philosophers alike share in making it so. Facebook fans 341. Twitter followers 131. Oxford, England About Blog A blog about theoretical computer science, evolution, and game theory. About Blog I’m Rey, a philosophy enthusiast and an aspiring philosopher of science.Who thinks Knowledge is not equivalent to wisdom and experiences into insights that deepen our understanding of the meaning of life. Netherlands About Blog Blogs are on the philosophy of the social sciences, epistemology and methodology, hermeneutics and analytical philosophy. Facebook fans 8,178. Twitter followers 88. About Blog This multi-authored blog is intended to be an international forum for the discussion of issues related to the philosophical dimensions of sport, as well as a place to disseminate calls for papers, publication and conference announcements, and issues related to teaching in this area of philosophy. About Blog MusingMind is an inventory of reading, writing, and videos; contemplative content at large. A philosophic lens on the experience of life. America About Blog Philosophy of Metrics is the methodology of understanding the world through logical patterns and esoteric processes. From the ancient philosophy of primitive man, to the stock market of today, there is a pattern in everything and a process which can explain anything. Facebook fans 824. Twitter followers 2,046. 489 Hackney Road, London E2 About Blog Diatribe on a variety of topics, attempting to link science, faith and philosophy, as well as discussion on pedagogy, blended learning and Web 2.0. Facebook fans 1,243. Twitter followers 86. Chicago, Illinois, USA About Blog News and views about philosophy, the academic profession, academic freedom, intellectual culture...and a bit of poetry. United States About Blog This blogs contain a unique understanding of the inherently purposive nature of the human mind, and of what that means for philosophy. He developed a distinctive pragmatic philosophy that carries with it an individualist understanding of the human past and a hopeful glance at the human future. Facebook fans n/a. Twitter followers 476. Melbourne, Australia About Blog Blog By TIM THORNTON philosopher working on issues in healthcare, especially mental healthcare, judgement, including clinical, tacit knowledge, thought and language. Netherlands About Blog Philosophy on the move It goes through a wide range of philosophical issues: knowledge/truth, ethics/morality, language/meaning, culture, and society.I try to use philosophy as a perspective for understanding present society. The focus is on dynamics: change of knowledge (invention), meaning, society, and organization. About Blog Blogging about my journey to define what it means to be Human. About Blog Mary Beard writes "A Don's Life" reporting on both the modern and the ancient world. Facebook fans 3,959. Twitter followers 108,785. Facebook fans 6,750. Twitter followers 14,358. About Blog A blog on how to live a life in a SIMPLE yet the most FRUITFUL way.It helps you in facing and overcoming the tough situations in life with a SMILE. About Blog I had an epiphany sometime back that I need to share my thoughts, my knowledge of Vedic Philosophy, Vedic mythology and Vedic Astrology with some metaphysical perspective along with my education in Biotechnology, so that I may be able to inspire a few fellow souls. This blog is a first step towards that effort. I am not sure though, which crater, ravine or galaxy this blog will lead through. About Blog A blog about studying Philosophy and key Philosophical issues written by a UK College student. Mountain View, CA About Blog Western philosophy feed by Google News. Mountain View, CA About Blog Middle Eastern philosophy feed by Google News. Mountain View, CA About Blog Indigenous American philosophy feed by Google News. About - The Department of Philosophy, Logic and Scientific Method and The Centre for Philosophy of Natural and Social Science. About - At the Practical Ethics blog, you can find daily ethical analysis of news events from researchers in four centres based at the Philosophy.We focus on current events with practical ethical relevance, including developments in science and technology, environmental policy, public health, and information ethics. About - Rocking Philosophy promotes individualism and opposes all forms of group think. Principles are based on negative liberty, natural rights, rationalism, and empiricism. 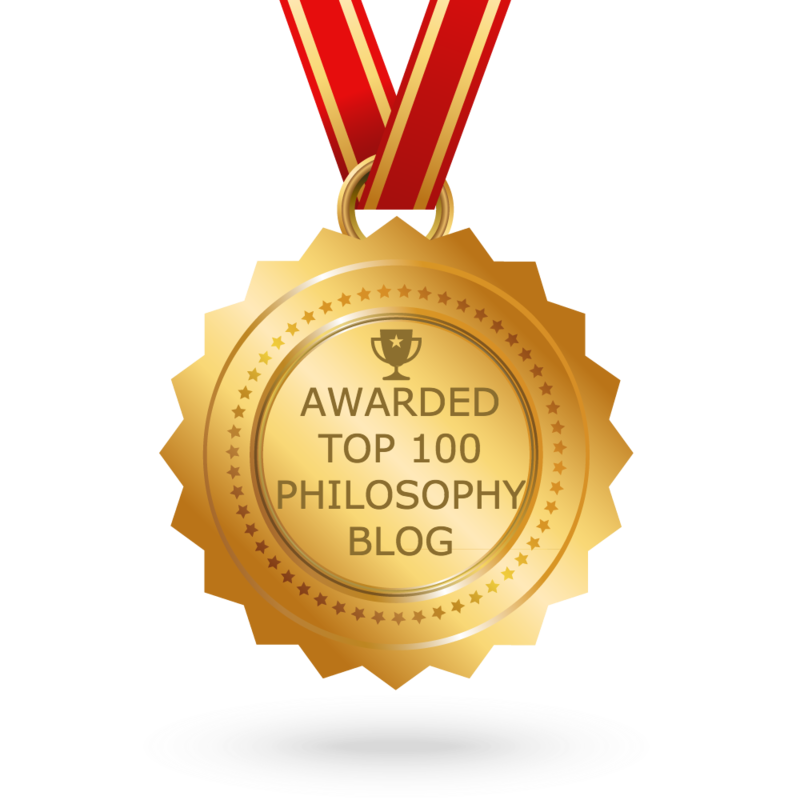 CONGRATULATIONS to every blogger that has made this Top Philosophy blogs list! This is the most comprehensive list of best Philosophy blogs on the internet and I’m honoured to have you as part of this! I personally give you a high-five and want to thank you for your contribution to this world.